It’s all my fault. I invited Kate Hamilton to come back to Asheboro. And that kind of changed the town forever. Murder will do that. No, Kate’s not dead, but someone she knew most certainly is. Kate and I were best friends back in high school. Then Kate went off to college and never looked back. I followed her career, and it seemed that she had some wonderful jobs along the way. The most recent was as manager of an upscale hotel in Baltimore, which is only an hour or two away but might as well be in a different universe. I stayed in Asheboro, married Phil, the love of my life, had a couple of kids, Jeffrey and Melissa, and lived what I thought was a good life in my hometown. But I didn’t count on bigger things going wrong—like Asheboro going broke. I never would have thought that a town could do that, but when the money that comes in from taxes and the like turns out to be less than the money the town is required to spend on schools and roads and employees like the police (yes, even in a sleepy little town, you need police), then the town has a real problem. I’ll give the town council members credit for trying to come up with a creative solution, but one of them—Cordelia Walker, another classmate—wanted to take her own idea and use it for her benefit. The council didn’t want that but since Cordelia was a bully it was hard to stand up to her. Then I had the brilliant idea of bringing Kate back to help the town out of its jam. After all, if she could run a deluxe hotel in a big city, she should be able to fix Asheboro’s problems. It took a little persuading, but since Kate was between jobs, and she loves a challenge (and I was the one who invited her and believe me, I played the Old Friend card), she said she’d come back to town and see what she could do to help. That was before the murder. It didn’t surprise anybody that the victim was Cordelia, since there was no shortage of people who hated her. But that didn’t make it any easier to figure out who killed her. Trust Kate to figure it out. Looking for a good beach (or lake or mountain) read this summer? 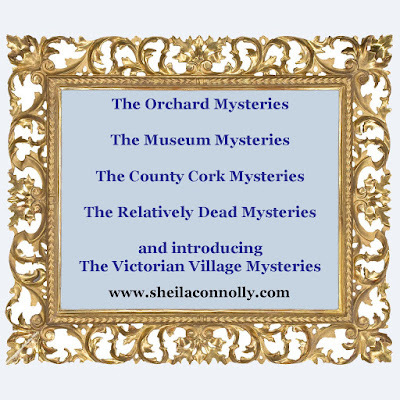 I'll be giving away a copy of Murder at the Mansion, the first of my new Victorian Village series. "Fascinating read...The prolific Connolly kicks off a new series that skillfully combines history, romance, and mystery." "Amiable...cozy fans will enjoy Connolly's characteristically warm treatment of small-town life." "Connolly's accomplished series launch avoids the tired tropes found in many cozy debuts, incorporating humor, a realistic setting, and well-developed, appealing characters." "Exceeded my expectations. It blew me away. I will definitely be picking up the next one." "I fell into this novel head over heels. 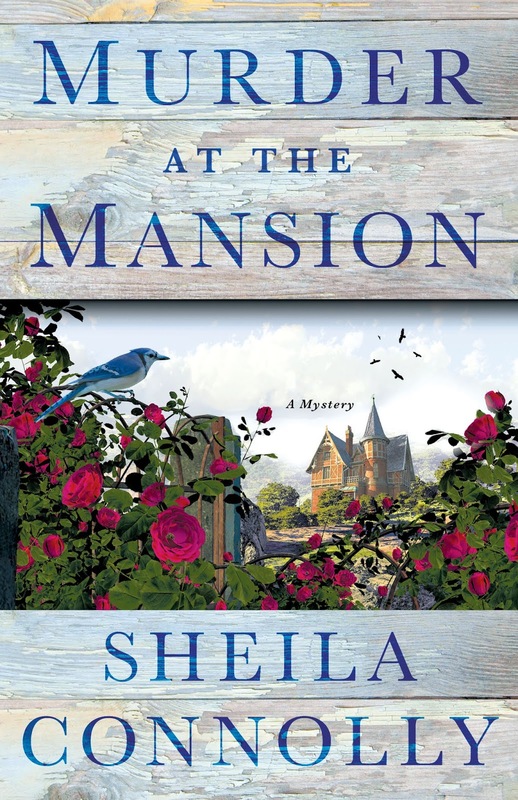 The author's description of the mansion is sheer bliss to read of, and a murder to go with it is always appreciated by a mystery fan. Don't miss this one." Leave a comment below (with your email address, please!) by midnight on July 27th, and you'll be entered to win! I'd love to win this book. The review makes me want to read it -- humor, realistic settings, etc. -- all good things! So many great series. Thanks for the chance to win Murder at the Mansion. This sounds like the perfect beach read. Thanks for the chance. I am thrilled that I will have another fabulous Sheila C. series to read. I have loved all of them and know this one won't be any different. I am hoping to get a head start on this new series. Fingers are crossed for a copy from this giveaway for sure. I'd rather leave my Facebook info as I seem to have had some problems from leaving email info on posts. So it's Cynthia Bayer Blain that I'm hoping will have good news 😊 for me. Congratulations and best of everything on another series, Sheila. Thank you. It sounds great! Thank you so much for the chance to win! I am looking forward to reading this! I enjoyed Lisbeth's POV. Thanks for the chance to win. I would love to win this book it sounds like a great story. Loving this contest and getting to see all these new mysteries. Sounds like something I would like to read! This was such a great start to what I hope is a long running series. I enjoyed it so much, it was a concept I've yet to read. I can't wait for the next book!!! Thanks for the chance to win a copy of Murder at the Mansion. I always love starting new Cozy Mystery series!! I'm looking forward to meeting Kate, Lisbeth, & the rest of the inhabitants of Asheboro. "Murder at the Mansion" sounds like a great start to a new series. Would really love to read. Congratulations on your latest release! i would love the chance to read this exciting book. Sounds like the perfect singer read! Thanks for the chance! The cover is charming, the title caught my attention, and Kate Hamilton will be put to the test as so many folks disliked Cordelia! What fun! Thanks for this generous giveaway! Oh, I love stories like this! The cover, the setting, the description...everything sounds so good! This sounds like a really good story to read!! Thanks for the chance. I would love to read this story. It sounds terrific. This sounds fantastic thank you. Sounds like another good book from Sheila Connolly. Thanks for the chance. I love all your other series and I look forward to reading this one. This was a great start to the series. Thanks. I really enjoyed my eARC. Sounds like a great start to new series. Looking forward to reading this book. Sounds like a great start to another series! I am sure I'll be hooked on this series as well. Thank you for the opportunity in this giveaway. Yay! A new series by a favorite author! Sounds like a really good one! Thanks for the chance! Sounds like a great book. It's so much fun to start a new series---and then wait anxiously for the next book to be published.